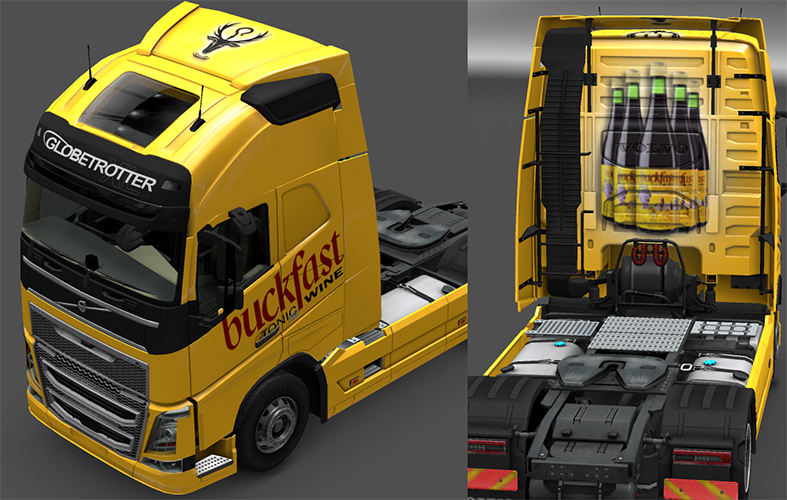 As of March 9th 2015 the Buckfast trailers were merged into a Combo Pack with the truck skin. Hochtief is a German construction company that replaces Sanbuilders. The company mod also includes this stand alone trailer that will be pulled to/from Sanbuilders, Posped and Stokes. As of March 9th 2015 this was merged into a Combo Pack with the trailers. A custom Buckfast Volvo made by request. So what am I working on? 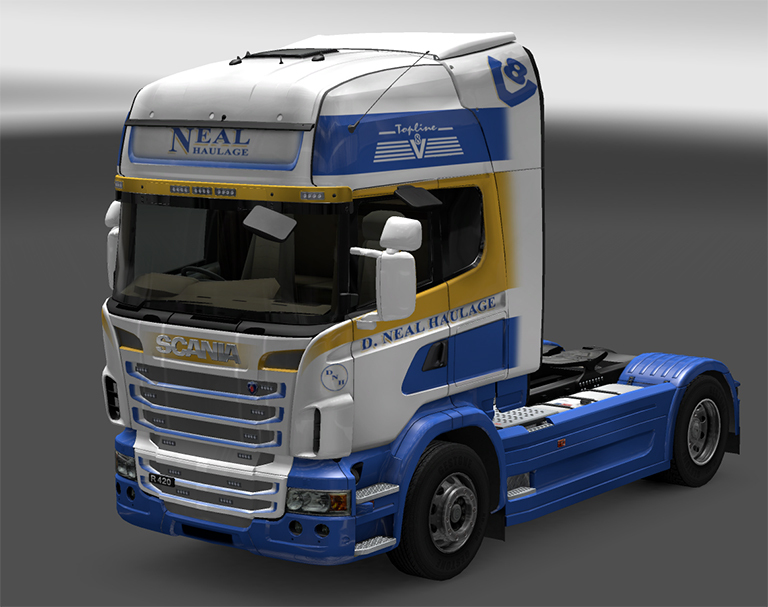 I found Neal Haulage while looking through Google for skins to make. Thanks to a little help from Ohaha on the SCS forum, I have learnt how to make my own templates. 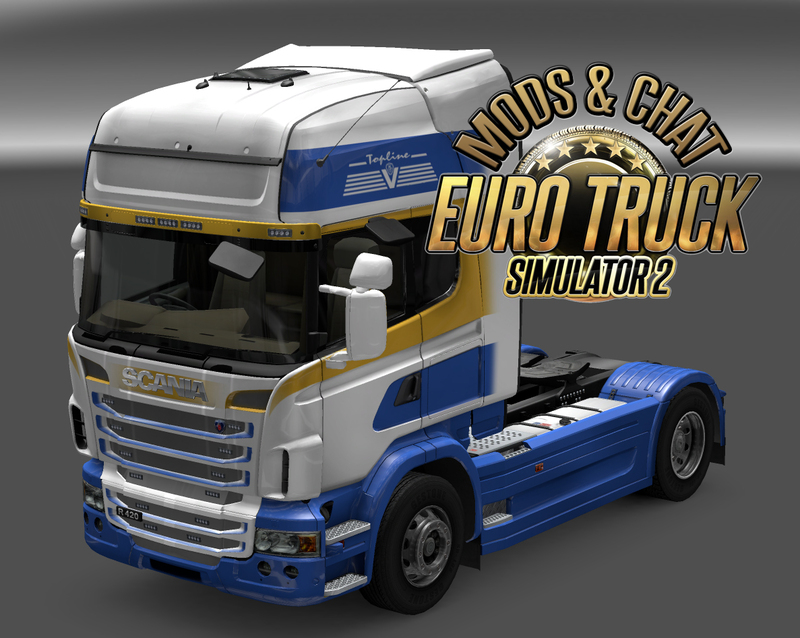 As a result I have done away with the original Scania V4 mod template by maghetto and made my own. Any one familiar with his original template will understand the issues with it, mainly the overly thick black lines which made accuracy to place delicate/accurate paintwork on the front grill very difficult. I have now created my own template for the front grill and added it to original Scania templates by szeryff123. The new template should be much easier to work with and I hope it will be useful for you. The Scania template folder now has two folders: Original and IJs ScanV4 — The original folder is szeryff123’s template for the original model and the latter is of course my version for the v4 mod. 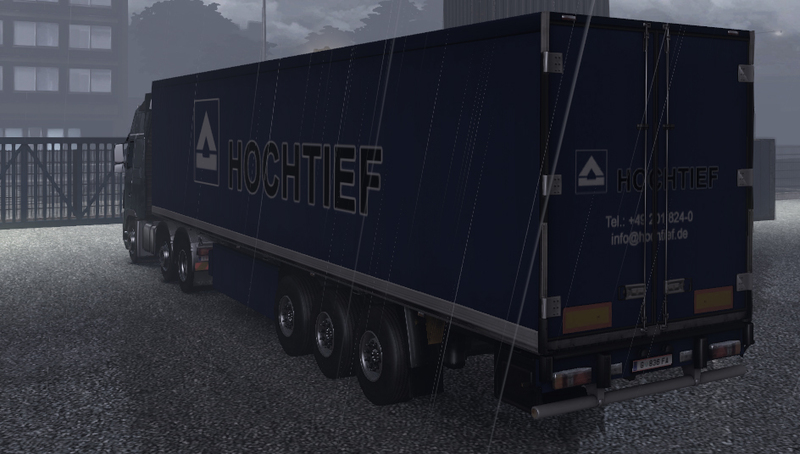 These templates and the templates for the new Volvo FH are all included in the template archive found on the Truck Skinning tutorial page.